RuneScape is well known for its constantly changing landscape and design philosophy, weekly content updates will do that to you. The completion capes involve a long list of achievements in-game. As a show of their difficulty, these caps also happen to be best in slot stats and utility, which has made them almost mandatory for player vs monster activities. This week’s poll is asking if players want to change that. There are two versions of the poll, one for players who have achieved the completion cape and one for those who never have. The sample questions below are for those who have never owned a completion cape. 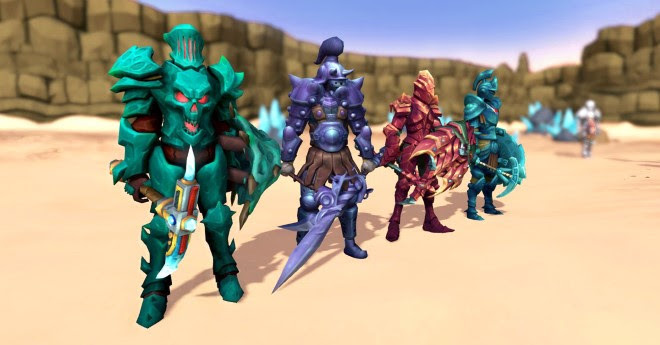 The poll is accessible within RuneScape and will be live for another week. Jagex did note that this is not a guaranteed content poll, so the results are not guaranteed to lead to changes.